The Sign Authority designs and installs some of the best banners for your business or event. With a wide variety of materials and sizes to select from – we make it easier for you to choose the right promotional banner for your brand. Are you looking for an indoor banner, sales banner, outdoor banner, trade show banner, or a retractable banner that could be kept on your table? The Sign Authority has the best experts around to help you get the perfect banner for your brand. We assist the customer at every stage of the banner design process. In fact, our banners are eye-catching and contain all the information you need to get across the message to your customer. 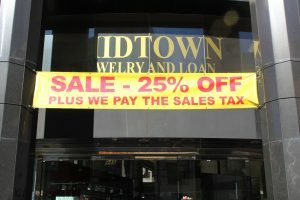 Call The Sign Authority today at (630) 597-1771 for a Free Consultation with a Banner Expert! Brand promotion is a significant function of a promotional banner. They can be used outdoors as well as indoors. These banners will either attract customers to your event, business or assist the customer find your business once he or she is inside the building. 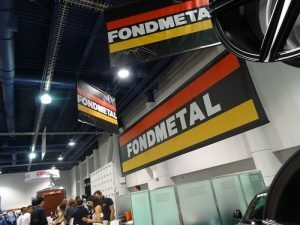 On the other hand, a retractable banner is ideal for a trade show. Durable vinyl is used for outdoor events due to its longevity. The Sign Authority know the importance of promotional banners to enhance the visibility of your business. The banner should be perfectly designed to achieve your business goals. We are a local signage company that quickly and efficiently creates the best promotional banners for your business. You will require a support structure to display your banner. An external support structure like a banner stand or a grommet is a good example in this regard. Most of the time, a business may require one or both of these structures. Our team will discuss the placement of your banner during the initial consultation session. In fact, we will include all the charges for necessary structures or modifications in your quote. Since there are multiple structures to display your promotional banner, we like to discuss the best option for your company. Make sure that you visit our local signage company to view some samples of promotional banner support structures. 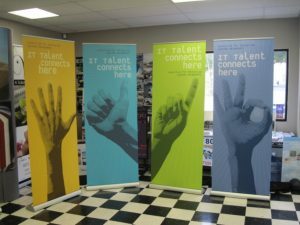 The Sign Authority is involved in all aspects of banner production. 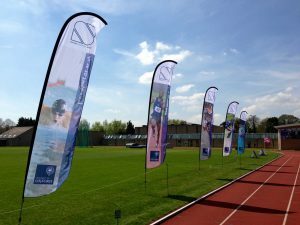 If your banner needs a stand, our expert team will show you how to install the banner in a way that you are not confused when trying to set up the banner. If you are having a large format banner, our team will assist you with the installation process. The Sign Authority is at the forefront of designing and installing some of the best business banners in the area. We create all types of banners for your business such as outdoor, trade show, indoor, and event banners.